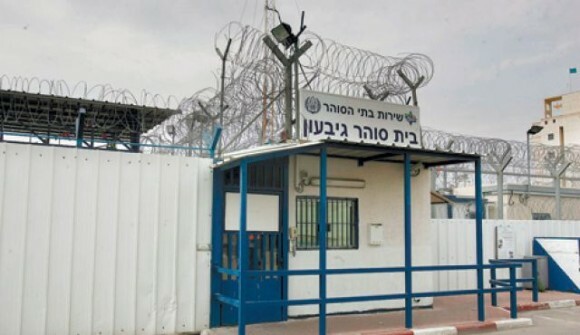 Earlier this week, the Public Committee Against Torture in Israel (PCATI) published a report that claimed children suspected of minor crimes were subjected to a variety of human rights abuses, including threats and acts of sexual violence and “public caging”, in which minors were held for extended periods of time in outdoor cages. It was unclear who within the Prisons Service initiated the practice, why it was initiated or who decided to continue it despite the adverse weather conditions, but the service responded that since it had received criticism the situation had been improved. Many were subjected to ill-treatment during the journey, with some suffering physical or verbal abuse, being painfully restrained or forced to lie on the floor of a vehicle for a transfer process of between one hour and one day. In some cases, they suffered prolonged exposure to the elements and a lack of water, food or access to a toilet. During my recent visit to the West Bank, our delegation spoke with Gerard Horton (formerly of Defence of Children International – Palestine and currently founder/director of Military Court Watch), who described for us this process in shocking detail. Much of what he had to tell us can be found in his article on the subject here. As a Jew and a human being of conscience, I am sickened by Israel’s practice of child detention. Please join me in contacting Tzipi Livni (zlivni@knesset.gov.il) to tell her you agree – to let her know this is not a problem that cannot be solved with one face-saving phone call. This entry was posted in Children's Rights, Human Rights, Israel, Palestine, UN on January 3, 2014 by Rabbi Brant Rosen. ROOM NO. 4 is an interrogation room in the Russian Compound – the main Israeli police office in Jerusalem – where Palestinian children are investigated. ROOM NO. 4 photography campaign illustrates the reality the children face when arrested and detained, and is based on children’s testimonies collected by Madaa Center. All the names of the children have been modified to ensure their protection. Torture and keeping children in cages. Human beings with even a shred of morality could never fathom using this kind of abuse on living thing. Israel has gone to new highs in their Human Rights Abuses. The world community has to band together to stop this insanity.The Israeli government has much to answer to the Hunam rights groups for their blatant disregard and need to be taken to task. This has nothing to with what your religious beliefs but using humiliation torture and abuse to control a whole population. Howard, the IPS itself has admitted doing this and there are no shortage of soldier testimonies detailing these and worse abuses, if you can’t bring yourself to believe Palestinian children or monitoring organisations such as Defence for Children International. It’s no fairytale. But at least calling it a fairytale is better than the usual excuses saying the kids deserved it. Thank you Brant for continuing to disseminate these human rights abuses. When even powerless children are the victims, the occupiers show their total lack of humanity.